See original A&B press release here. HONOLULU, Feb. 20, 2018 /PRNewswire/ — Alexander & Baldwin, Inc.(NYSE:ALEX)(A&B) will report results for the fourth quarter and full-year 2017 at 4 p.m. ET on Wednesday, February 28, 2018. In connection with this announcement, A&B will host a live webcast of its conference call with financial analysts and professional investors on February 28, at 5 p.m. ET. Travel and tourism accounts for 10.2 percent of the world’s GDP. That’s the equivalent of 7.6 trillion dollars, and one in every ten jobs on the planet is related to the tourism industry. So it’s easy to understand why every nation wants a piece of the pie—especially when those numbers are expected to continue to grow. But what happens when it becomes too much of a good thing? In this segment from season four of The Travel Detective, Peter Greenberg explores the growing problem of overtourism. The nearly 500-acre Waikapu Country Town project has received unanimous approval from the state Land Use Commission for critical changes. A state district boundary amendment allows a change from agricultural to rural for 150 acres and from agricultural to urban for 335 acres for development north and south of the Maui Tropical Plantation. The commission’s action came Thursday during a videoconference call. The Hawai’i Sea Level Rise Vulnerability & Adaptation Report (2017) is available now! 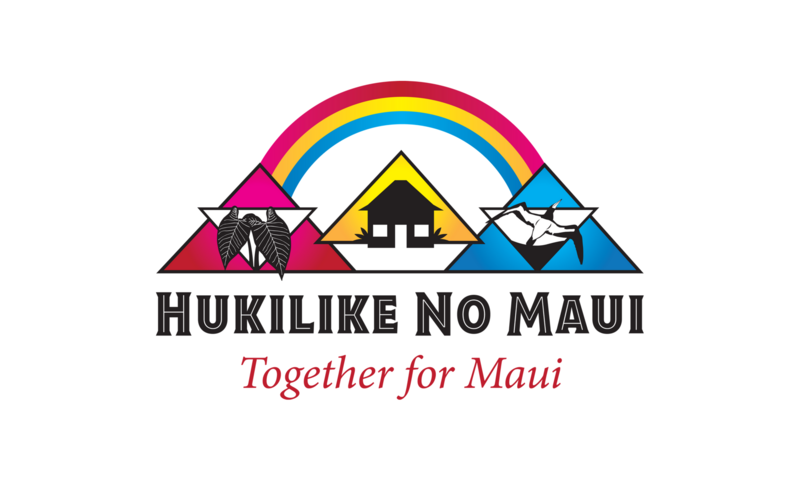 This important report illustrates why we need better long-term planning on Maui – no more building in the tsunami evacuation and coastal flood zones. Hawaii needs to build a lot more homes and tourists need to spend a lot more money to keep the economy growing in the coming years. That was the message to lawmakers from some of the state’s top economists during a daylong briefing Tuesday at the Capitol. With the Legislature set to convene Jan. 17, members of the House and Senate money committees, chaired by Rep. Sylvia Luke and Sen. Donovan Dela Cruz, called on Eugene Tian, the state economist; Carl Bonham of the University of Hawaii’s Economic Research Organization; Laurel Johnston, Gov. David Ige’s acting budget director; and others to paint them a picture of Hawaii’s financial future and discuss budget priorities. When R.J. Martin was planning a small subdivision of seven homes, each powered with photovoltaic solar cells and large Tesla Powerwall batteries, there was one idea that was quickly dimissed: the notion of linking the homes together with a small power grid that would let the homeowners share surplus power with one another. Ho‘opili, some of the best land for farming in the State, has been arbitrarily exempted from Important Agricultural Land protection and seems doomed to be paved over and turned into a housing development. Leon Sollenburger has worked with soil for decades. From Pearl Harbor to the North Shore, he’s worked on everything from the former Del Monte lands in Kunia to the former Dole lands north of Wahiawā and yes—Ho‘opili too. So respected is Sollenburger’s opinion on soil that he was appointed to the advisory committee for Important Ag Land (IAL) designation on O‘ahu. IAL designation protects agricultural land from being converted to other land use designations. In the 1970s the State began to require each county to designate its IALs. None of the counties has ever complied with that rule, including Honolulu county, until now. On O‘ahu, we are finally in the process of designating these IALs. If it were up to Sollenburger, Ho‘opili would be priority one for IAL protection in Honolulu county, but unfortunately it isn’t up to him. There’s no doubt that Ho‘opili is important ag land, even if it isn’t IAL. So what makes Ho‘opili such a unique place? 1. Ho‘opili is flat. It’s easy to work with large equipment on and most of the land there can be put in to production of agriculture. 2. This is a part of the island with very little cloud cover. In the list of requirements to grow a crop, sunshine is right there at the top. However, this does mean that irrigation will be required for Ho‘opili. 3. Water is the next ingredient. While it’s true that rainfall is lower here than it needs to be, the water table at Ho‘opili is not all that deep. Therefore a supply of good quality clean water can be put into use here at a reasonable cost through wells which wouldn’t need to be all that deep. 4. There is one more factor to consider, and it’s a factor that Ho‘opili beats nearly every other piece of agricultural land in Oahu on: Its proximity to the markets. The Wai‘anae coast, the North Shore and Waimānalo are all much farther away from Honolulu. Farmers in these areas have to factor in the cost of transportation, gas and time stuck in traffic (which is time away from making the fields productive). Currently there is a PR campaign underway on the part of the landowners, D.R. Horton-Schuler, to convince us that part of Ho‘opili will be set aside for agriculture. These areas are too steep to drive a tractor on. At the bottom of the gulches, where it’s flat again, you encounter rock, not soil. The only way to grow plants in the gulches would be with terracing, or green housing or some other hydroponics system that would control light and water levels and keep them adequate (all of which are expensive choices). “That’s not really agriculture, and it’s certainly not cost-effective when you compare that to open field production,” says Sollenburger. Every single piece of land that was proposed as replacement ag-land for Ho‘opili during the Land Use Commission’s hearings is at a higher elevation, has higher cloud cover and, in most cases, has less available high-quality water. Practically every piece of ag-land from Wahiawā to the North Shore is irrigated with water from Lake Wilson. Lake Wilson is an artificial lake outside Wahiawā that captures water from two streams that come out of the mountains. That effluent is classified as R2, a category of waste-water that is acceptable for certain forms of agriculture, but has restrictions on what it can be used for. It can be used to grow plants as long as the part of the plant that is used or consumed does not come in contact with the water. Any water supply that has any part of it contributed from an R2 source renders the entire water supply R2. From Wahiawā to Hale‘iwa—all that land is watered by Lake Wilson and therefore considered off limits to many different kinds of vegetable and fruit production. Ho‘opili has clean ground water that can be extracted cheaply. Ho‘opili has tons of sunshine year-round. And for a farmer working in irrigated fields, that’s a huge advantage. In other places, even Kunia, during the winter the rainfall can be sufficient to make it almost impossible to farm those fields for weeks or even months at a time. A stone house on a Kauai ranch Alexander & Baldwin Inc. sold for $8.1 million in the third quarter. Selling 566 acres of land on Kauai and Maui helped Alexander & Baldwin Inc. earn $6.6 million in the third quarter and reverse a year- earlier $1.4 million loss that included heavy costs to close Hawaii’s last sugar cane plantation. Honolulu-based A&B reported the financial results Tuesday for the three months ended Sept. 30. Revenue rose 8 percent to $111.5 million in the quarter from $102.9 million in the same period last year. The company’s three major operating segments — land, commercial real estate leasing and road construction subsidiary Grace Pacific — all contributed to the improved revenue and profit performance. A&B also said it continues to make strong progress converting itself to a real estate investment trust, reducing mainland real estate holdings in favor of investing more in Hawaii and finding agricultural tenants for its former 36,000-acre Maui plantation Hawaiian Commercial & Sugar Co.
During the third quarter, A&B’s biggest source of profit was property leases largely involving retail space that includes several Hawaii shopping centers and the commercial core of Kailua. This segment’s operating profit was $13.6 million in the third quarter, up slightly from $13.5 million in the same period last year. The biggest improvement among A&B’s divisions was in land development and sale operations. Operating profit for this part of A&B rose to $10.4 million in the recent quarter from $7.8 million a year earlier. This gain came primarily from selling a 273-acre ranch on Kauai for $8.1 million and 293 acres of vacant land on Maui for $7.9 million. A&B also earned $2.9 million from sales of two town homes next to its Kakaako condominium tower The Collection, three residential properties at its Kauai vacation community Kukuiula and four residential properties at a similar project on the Big Island called Ka Milo. The Kauai ranch several years ago was subdivided and marketed for sale by A&B as 24 farm or home lots. But more recently A&B sought a single buyer for the property, which was once the family estate of Kauai sugar pioneer Walter Duncan McBryde and features a 4,200-square-foot stone house from 1860 that used to be a plantation manager’s residence. A&B’s third primary business segment, rock quarry and road paving firm Grace Pacific, produced a $6.5 million operating profit in the recent quarter. That was up from $5.6 million a year earlier and benefited from laying down 31 percent more asphalt, though competitive pricing pressures cut into the gain. Previously, A&B had another business segment for agriculture, but that was folded into land operations after the sugar plantation shutdown in December. In the third quarter A&B still had some expenses related to discontinued HC&S operations, resulting in an $800,000 after-tax loss. However, that compared with a $13.6 million after-tax loss for HC&S operations in last year’s third quarter. Benjamin said A&B is making quicker-than-expected progress finding new uses for its former plantation land, with negotiations to lease 15,000 acres that could bring total use up to roughly 20,000 acres in a few months if negotiations are successful. A&B since January has converted 4,500 acres into active farming and ranching, and is working to add 900 acres to a Maui County ag park, the company said. The other big ongoing transition at A&B is converting itself from a regular corporation to a real estate investment trust, or REIT. This initiative is expected to attract more investment capital for A&B to buy Hawaii commercial property, and will also provide the company with tax advantages. A&B spent $4.4 million on the conversion in the third quarter, up from $1.9 million a year earlier. In total, A&B expects the change to cost $25 million to $27 million. Shares of A&B stock closed at $45.19 Tuesday before the earnings announcement, closer to the upper end of a 52-week range between $40.02 on May 31 and $46.87 on Oct. 3. Through progressive legislative action, we can provide our grandchildren a better Hawaii than the one we inherited. This was one of my grandpa’s favorite lines when recounting his days growing up on the plantations in Lahaina. It was usually followed by tales of 11-hour workdays while making a little over 15 cents per week. I have come to realize that in the 90 years since grandpa lived this life, we really haven’t come that far. Hawaii today still sees the everyday person working extraordinarily hard while making relatively little. In a recent publication released by the Tax Foundation, a nonprofit organization focusing upon tax policy here in the United States, the relative value of the dollar was assessed for each state. You may be surprised to learn that Hawaii was No. 1. 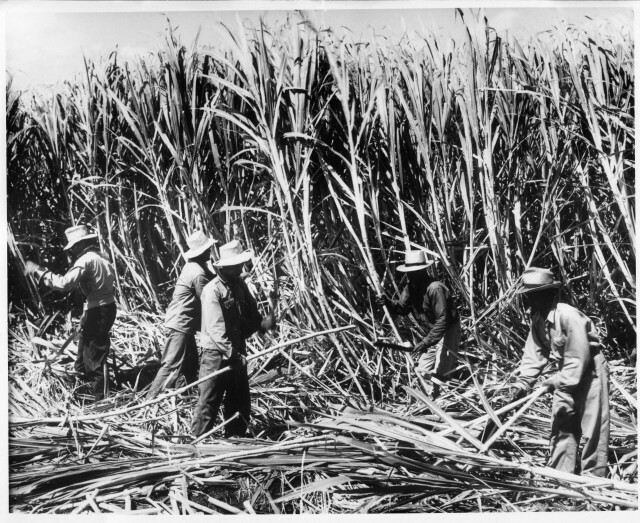 Hawaii’s high cost of living means many residents work as hard as their plantation-era ancestors. Oh, to clarify, we were No. 1 where the dollar holds the least value in the nation. Whereas your money will go further in states such as Mississippi ($116.01), Alabama ($115.21), and Arkansas ($114.42), here in Hawaii, $100 is valued only at $84.18. What does that mean? How does this affect us in our everyday lives? It means that the cost of living is high, and our money doesn’t go very far. Hawaii today still sees the everyday person working extraordinarily hard while making relatively little. When we look at associated costs – rent, mortgage, food, etc. – we see there is indeed a gap between how much we earn and what it costs to live here. For a single person to pay for all necessary living expenses on Maui, it costs roughly $31,137 per year. However, the average salary (per capita) for someone working full time here on island is approximately $31,612. Do you see the issue here? This leaves a person, living and working on the island of Maui with merely $474 of disposable income. Now is the time to look at progressive legislative action on such issues as basic income and affordable housing, and improved economic opportunities such as technology, agriculture and alternative energy. Now is the time for us to come together, in unity, to demand more of our political system and those in office.